WordPress vs. Blogger: Which is better Blogging Platform? Home Comfort Zone Website Design WordPress vs. Blogger: Which is better Blogging Platform? WordPress and Blogger, both are most widely used blogging platform. Both of the CMS are around from over 15 years now and are powering millions of blogs. However, both of these blogging platforms comes with their own advantages and disadvantages. So, if you are planning to seriously start a website, you definitely have thought about whether you should start your blog on WordPress or Blogger. So, in this article, I am going to share with you the most important reasons & drawbacks of both of these blogging platforms to end up your confusion. Blogger (aka Blogspot) was launched by Google, our most favorite internet company on August 23, 1999. It was launched by Google mainly to provide its users a public portal to share their ideas, interest, hobbies and thoughts will people of Internet by the means of this free blogging platform. WordPress was launched by Matt Mullenweg on May 27, 2003 with the similar purpose to provide users a platform to share their ideas. This idea was further taken ahead by Matt’s company Automattic Inc. launched in August 2005. Both WordPress and Blogger blogging platforms allow you to create free blog on their own website as a subdomain as well as setup WordPress/Blogging on your own domain too. If you want to create free WordPress blog, you need to free signup on wordpress.com & if you want to install WordPress on your own domain independently, grab the software from wordpress.org. Blogger free blog can be created by signing in blogger.com using your Google account and proceed to provide a name for your free blog. If you need to install Blogger on your own domain, you need to enter its details on your Blogger account. If you haven’t used any of these platforms then you will find using Blogger easy than WordPress because Blogger’s interface is very similar to Gmail and other Google tools. Blogger’s editor is quite similar to Gmail text box which you use to write and format your emails. WordPress is a bit complicated. It follows a small learning curve but is future oriented. And, if you dedicate a little time in understanding it first then complicated stuff like this top movie websites table, buttons, columns, etc. can be made very easily than blogger. 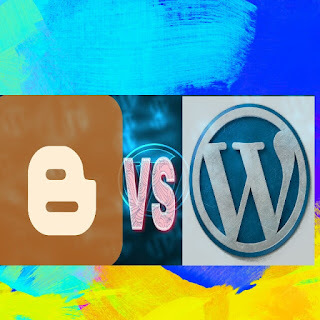 Free Blog: WordPress or Blogger? Due to the community structure of WordPress, even a new free WordPress blog can attract many ideal readers if you actively participate in the community and interact with other writers through their WordPress hosted blogs. Blogger doesn’t have any such community surrounding the platform and don’t also expect that being the blogging platform from Google, you will observe any SERP boost because Google is neutral in this case. But yes, you can expect fast indexing of your Blogger articles, and this blogging platform is comparatively easy to use, right? Pro Blogging: WordPress or Blogger? This blog ComfortSkillz is built on Blogger/Blogspot. Explore the site, you can see the website is well organized, clean and fast. And, the website Supportive Guru is developed on WordPress which is also quite interactive and neat. So, it depends you. You can create high-quality blog using any of these platforms. If you aren’t sure, I recommend you to try both platforms using their free blogs and continue with the one you are comfortable with.